Julia practices and guides Strala and Yin Yoga and several kinds of free moving meditations. She has a background of various teacher trainings (500h+), recently a Strala Yoga Training with Tara Stiles, Mike Taylor and Sam Berlind in Amsterdam and a Yin Yoga Training with Biff Mithoefer in Munich. In her own meditation practice she found a deeper meaning through her training with the spiritual teacher Mari Nil. Her work in yoga and meditation lies most of all in offering retreats and workshops. Julia has a business background in economics with a degree in international management. She works as a business consultant for more than ten years. She supports companies to react and transform to the changes in society and industry due to the current shift of consciousness and values and not least digitalization. Ioannis runs active & passive meditation classes and expressive healing group workshops. He is also offering private healing sessions such as psychological support and coaching, craniosacral therapy, prana healing and a variety of massages. He is a certified Osho facilitator and for the past eight years his life is between Berlin and meditation healing communities around the world. He is on the path of learning and practicing different healing methods such as Satyananda and natural movements Yoga, Cranio Sacral Therapy, Prana healing, Shiatsu & Meridian Massage, Shufi techniques as well as Qi Gong & Tai chi. Furthermore, he is on the shamanic path for the past five years and working close with shamans on fire gathering ceremonies, medicine plants and fasting periods on the mountains. Ines is a spiritual Public Health practitioner, she will show you your soullight and the unlimited possibilities and power of your mind. By following her heart and starting listen deeply to the silent voice of her soul she came in contact with her perpetual light, the universal part of our Self, that is the essence of a healthy and happy life. In 2003 started her spiritual path within several years of studying and practising tantric tibetan buddhism. Her seeking for original truth was so deep that she walk further to find different masters in several cultures and religions of the world. She has a Master of Science in Public Health and spent many years at the Charité University Medicine Berlin. Ines is a mother of two children, she built up and lead different kinds of environmental health and educational projects. 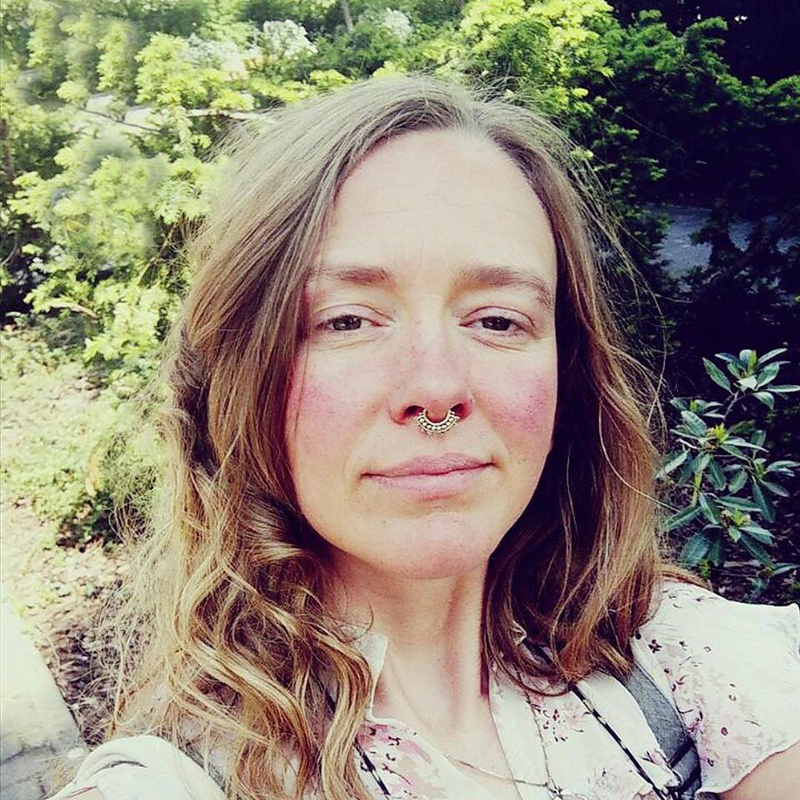 She is a certificated Kundalini Yoga Teacher and creator of new kinds of ceremonial and social occasions and events, with the purpose of real and sustainable connection between people. Out of her spiritual experiences and her knowledge about health and nature she developed her own practical teachings and trainings, that lead the participants to social, physical and psychological health. Jenny is a trained Integral Psychology Coach and Certified Meditation Teacher with an emphasis on active, body-centered meditations. Among other things, she leads workshops such as "Emotional Release / Bioenergetics" and "Shamanic Breath-Work", including meditation courses on specific topics. Self-covering and self-empowerment is her motto. In the name of love and for the truth, she helps you as a pathfinder and process companion. Jenny is also the founder of www.selbstwirksamkeit.jetzt. Music composer, photographer and video maker, has been since very young a true seeker, using art as a channel to connect with the divine. In 2006, living in Brazil, he became a sannyasin from Osho, practicing though also other spiritual paths and meditations. He grow up in Chile in a family into the gastronomy business, and in 2011, during his time living in New York founded the RawAcademyTv, touring the world giving lectures and private dinners. At that time also he started working as a professional photographer in fashion. In 2014 he moves to Berlin to work as a photographer for “Das Vegan Magazin” and other art projects, always working in different areas. Nowadays is working with Dan Timm from “Nowhere Kitchen”, creating a concept that brings food and music together.